Millie Dunn Veasey joined the military's first all-black-and-female battalion when women were called to service in WWII. 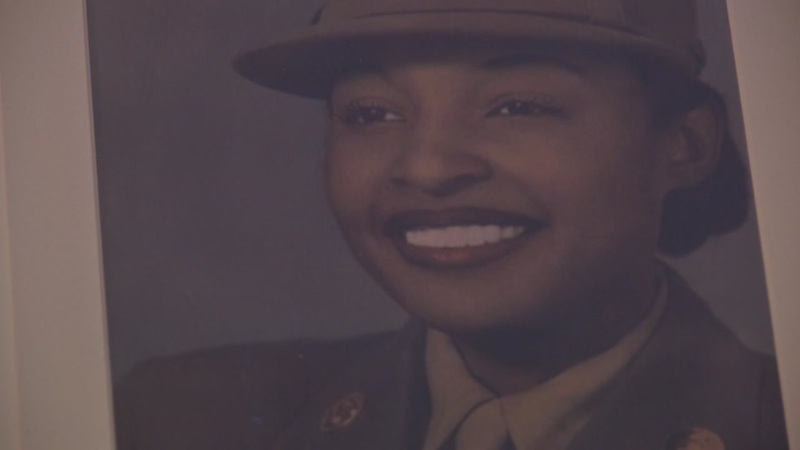 RALEIGH -- A North Carolina woman believed to be one of the last African-American women to serve overseas during World War II has died at the age of 100. Millie Dunn Veasey died March 9 just weeks after celebrating her 100th birthday. Her niece, Elsie Thompson, told WUNC that her aunt's "heart was tired." After she graduated from high school in 1942, Veasey enlisted in what was called the Women's Army Auxiliary Corps. Her unit was the only all-black, all-female battalion to serve overseas during World War II. Veasey served in France and England with the unit, which sorted and routed mail for millions of American service members and civilians. After her return stateside, she pursued higher education at St. Augustine's College. "When I came back, I was given a scholarship to complete the Masters," she told ABC11 in January while they visited her for her birthday. She later became the first female president of the Raleigh NAACP. Before she passed, the war veteran told ABC11 she was always very thankful for the people and support in her life. According to the Associated Press, Veasey will be buried on Monday at Raleigh National Cemetery.